Jerzy Kosinski once wrote, "The principles of true art is not to portray, but to evoke." 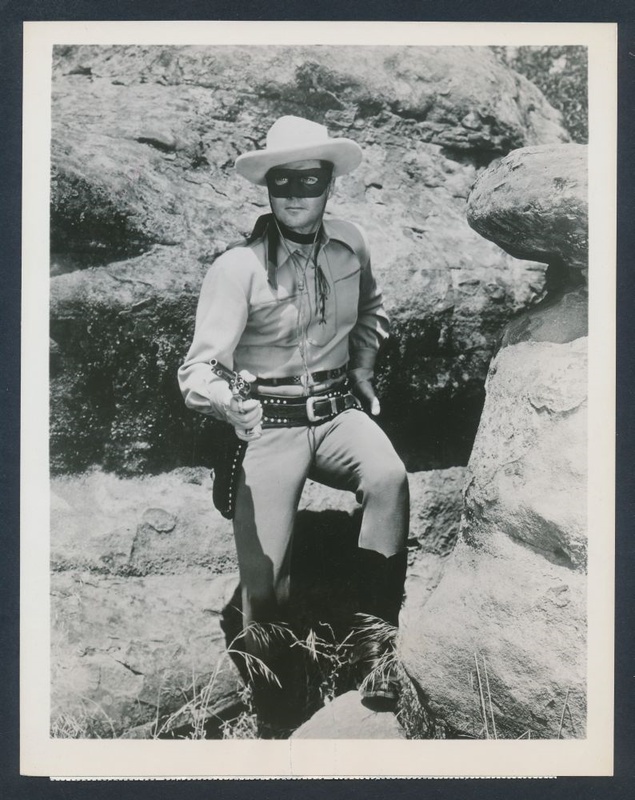 No better example can be found than The Lone Ranger radio broadcasts, scripted by Fran Striker. While many fiction writers formulate basic tenants about each character -- outward description, personality traits, disposition and temperament -- it comes as no surprise that once in a great while Striker chose to reveal a darker side of The Lone Ranger in his radio scripts. 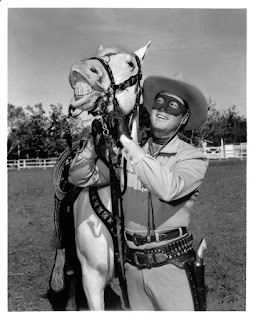 On the evening of March 19, 1937, The Lone Ranger radio program presented a broadcast focusing on Silver, the great white stallion of the masked man, and his effort to rescue The Lone Ranger from a horrible fate. The Beasley Gang rode into Durango and shot up the town, killing a man in the streets. The gang aimed to head into the San Juan Mountains, fearing the masked rider who sought to apprehend them in recent weeks. The Lone Ranger, however, was ambushed and shot, falling into a ravine, leaving the great white stallion at the mercy of the outlaws. Before his fall, The Lone Ranger told his steed to "play dead" while his fall into the ravine would -- hopefully -- convince the outlaws to pursue the masked man, not his horse. But his efforts were in vain; the outlaws quickly discovered the stallion was not dead and attempted to apprehend the beast. The gallant stallion fought like one possessed of super strength and fury. The long legs lashed out again and again, and the silver shod hoofs brought down a second man. A rope thrown over the powerful white neck was jerked from the hands of the man who held it, and Silver bared his teeth as he fought against the fiends who shot his master. Finally, Butch was forced to let go of the reins he held, and then every ounce of the great strength of Silver was put in one frantic leap. The horse broke free and ran off. For a long time the Beasley Gang followed Silver up the dangerous rocky trail through the San Juan Mountains, a trophy prized by Beasley himself for having pulled the trigger that shot and killed the famous masked rider of the plains. Silver kept a good distance ahead of them and looked back from time to time to see that they were still following. The gallant stallion seemed to know what was in their minds. Though he felt in his horse mind that his place was back at the side of The Lone Ranger who had fallen into the ravine, he kept on, dodging and evading and keeping away from the outlaws. The sheriff’s posse, meanwhile, had done its best to trail the Beasley gang, but had finally been forced to give up the search and return to Durango. They were a tired, travel worn group of men, seeking vengeance for old Jake, their friend who was shot and killed in the streets of Durango. Silver walked into town, past the sheriff’s office, where a horse with no rider was discerned. Despite his struggles, Silver was roped in a stable for the night. In his mind, he did not know that morning would be too late for help to reach his master. He only knew that he was tied, and helpless while the masked man whom he loved was suffering and in grim peril. He struggled against the hard rope. He tugged until the rope bit into the flesh of his neck, then he squirmed and wriggled, and the proud head shook in fury at the confining lashes, but the rope held firm. Then Silver tries another means of escape. He turned until the rope was slack and then he gripped it in his teeth and chewed. Then with the rope weakened he tugged again, disregarding the pain and checking and finally the strong rope parted. Silver gave a whinny of defiance and charged through the door of the stable. The sheriff and deputy were outside when they saw the horse race toward them. Observing the horse shod with silver, the sheriff realizes who owned the stallion and rallied his men back into saddle. Following Silver like a bloodhound chasing a fox, the sheriff and his men take off for the San Juan Mountains, with Tonto now joining the posse. Butch sneaks from behind to disarm the masked man and moments before the vigilante can be unmasked, the sheriff and his men arrive. A member of the posse shoots and wounds Beasley while down into the steep ravine the great horse Silver charged. He led the way for Tonto, the sheriff and the posse. Into the midst of the outlaws he lashed with hard shod hoofs, and struck down the leader, Beasley! The lawman closed in and the fight was short and hard, but the outlaws had no chance. They were roped and disarmed and then Tonto helped the masked man to a sitting posture. The law takes the gang members back to town, leaving The Lone Ranger in good hands to heal from his wounds. A recording of this broadcast is not known to exist but according to internal records this particular broadcast was recorded a week prior, on March 12, and broadcast on March 19. The reason for this remains unknown (we are presently digging into the "why") so there is a remote possibility that a recording of this monumental broadcast may be found. Until then, the plot summary above is here for your enjoyment. Thank you for the great article, Martin. 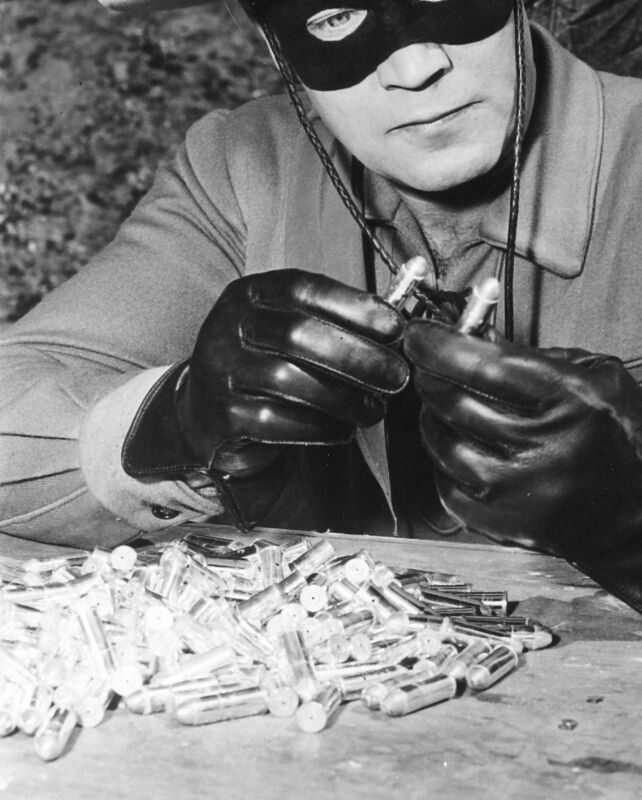 In my opinion, not enough of the Earle Graser LR episodes are in circulation. Thank you for this article Martin. I hope the recording is found. I prefer the Graser episodes.